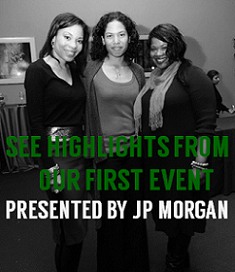 Mid-August has arrived and mounting civic engagement continues around Black Philanthropy Month 2013. If you’ve just joined the campaign, here’s more about it. Together, African Women’s Development Fund USA, BlackGivesBack.com, Community Investment Network and Giving Back Project are leading a multimedia campaign designed to illuminate the power African-descent giving in all its forms; inform the public about philanthropic tools, causes and issues; inspire bolder and smarter philanthropy; and invest in Black philanthropic leadership and knowledge. High-impact events, media stories, service projects and giving opportunities compose the campaign, which kicked off August 1 and continues through February 2014. “Its multi-generational scope and a span that encompasses local, national and global opportunities for Black people around the world to become involved are some of the things that excite me most. Further, the campaign is authentically for, by and about Black givers with ample space for people of all races to participate,” says Valaida Fullwood, an organizer of BPM 2013. The expansive framework and concerted activities of BPM 2013 aim to increase knowledge about Black giving, inspire people to do more with time, talent and treasure and to broaden the philanthropic know-how, giving and leadership in Black communities. 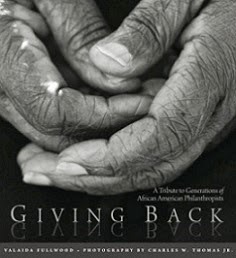 Visit the website at http://blackphilanthropymonth.com/.